NiiSoTeWak translates to “walking the path together”, and Cree traditional teachings claim that although identical twins are born with two separate bodies, they share only one heart. 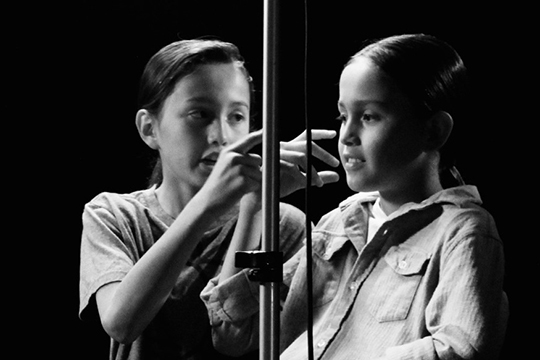 Through the eyes of spirited ten-year-old Inninewak (Cree) twin boys, Tapwewin (Speaking Truth) and Pawaken (Totem) explore and question the essence of their Being in relation to the world and people around them. The twins ancestry is rooted in Attawapiskat First Nation, Moshkekowok territory, yet they lived most of their lives in urban centers; their Cree identity is informed by their parents and their grandparents cultural experiences. Like many First Nations youth today, the twins are amidst challenging times – they’re caught between what is considered contemporary and traditional worldviews, experiencing the shift between rural-to-urban settings and back again – and like many of their friends (both Indigenous and non-Indigenous) they’re part of an evolving family structure merely trying to make sense of the world they have come into. In this short documentary film, we capture an honest and raw glimpse of what it is like to not only be a twin, but also the reality of being a Cree twin in unfamiliar territory, to be exact, un-ceded territory of the Coast Salish Peoples. Already their identity has been uprooted!